Income isn’t a direct factor in credit scoring. That said, financial management plays a vital role in your ability to pay bills, reduce long-term debt, save, and avoid credit damage. If you crave the taste of financial freedom, adopt these habits followed by the financially secure. Income: Saving for emergencies and for long-term retirement is crucial. Talk to your financial planner about how to split your savings into liquid and growth accounts, and consider using direct deposit. This strategy allows you to automate the saving process in order to achieve your annual goals. Necessities: The financially savvy aren’t blessed with luck: they simply know how to use their resources. From negotiating lower service prices to using coupons for every purchase, there are several ways to save on your monthly bills. Don’t miss an opportunity to preserve your income. Interest Rates: Borrowing money is usually unavoidable when it comes to buying a home or car, but it’s a good idea to think twice about paying interest on affordable items. For example, rather than charging a $1,500 sofa on your credit card, why not save and pay cash rather than accruing unnecessary interest? You view credit as a tool rather than a bottomless bank account. You don’t carry revolving balances from month to month and you pay attention to your budget. You understand that a high credit score can open financial doors and provide savings where none existed before. You’re no stranger to ordering free annual copies of your credit reports and reviewing your credit scores to spot room for improvement. As a tool, you understand that credit use should never become a burden. You are committed to assigning expenses to each credit card and paying off your balances every month to establish positive habits. When it comes to life, nothing gets past you. You visit the doctor for annual check-ups. You never miss a car tune-up. When your bills arrive, you pay them immediately. Put simply, you are proactive about everything. While this may sound exhausting to some, it also eliminates your chances of losing money to unexpected circumstances. Affordability is relative, and it’s wise to keep an eye on your long-term goals rather than using all your extra cash on unnecessary expenses. Sure, you can afford a 3,000 square-foot home, but 2,500 square feet will suit your family just fine. You’d rather give your budget a little wiggle room to avoid financial risk and potential credit damage. Keeping up with the Joneses is an expensive pursuit, and it’s easy to drown in debt in the process. Financially secure people understand that living large comes at a greater cost. You temper expensive taste by mixing affordable things with a few prized items to create balance in your life. Less than 3% of American adults live a healthy lifestyle according to a 2016 Mayo Clinic study. Diet, obesity, alcohol abuse and smoking all contribute to poor—and costly—health conditions. While you may not be a star athlete, you take care of yourself and seek preventative and active treatments for your ailments. You also keep tabs on short and long-term disability benefits provided through your employer. A steady and lucrative job is important, and you pursue career mobility as another way of maintaining financial strength. An annual raise can help you keep up with inflation and upgrade your lifestyle without threatening your budget. You won’t fear financial collapse if you are laid off or suddenly forced to work for less income. In fact, you’ve saved six months’ worth of liquid income to prepare for life’s financial surprises. This safety net allows you to find a new job without worrying about overdue balances and feeding your family. The value of control can be felt when you plan expenses, learn to invest and generally feel comfortable in your lifestyle. While you may not live a life of opulence, you understand that living well is the ultimate goal. If you’re looking to improve your credit situation, learn about our services here. You can also carry on the conversation on our social media platforms. Like and follow us on Facebook and leave us a tweet on Twitter. This entry was posted in Finance and tagged budget, Credit Repair, income. Bookmark the permalink. 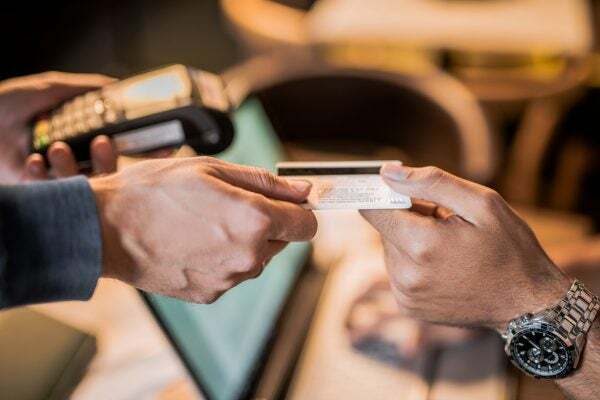 2019 Credit Card Debt Statistics in the U.S.
Why Do Philadelphians Carry So Much Credit Card Debt?